When recently in Douala, where my spouse, Epee Ellong, has returned, I got together with a good friend I hadn't seen in a very, very long time. Her name is Caroline Barla, and she is (I think) the first female Cameroonian architect (her father, Nsangue Akwa, was the first in the registry of Cameroon architects, ONAC). Caroline has been busy in all those years in the design field, not only in architecture. We didn't have time to go into much detail, so I will mainly show you photos of her home, which is a showcase for contemporary African style. Caroline also managed a store of original designs for a few years, Caramelle. 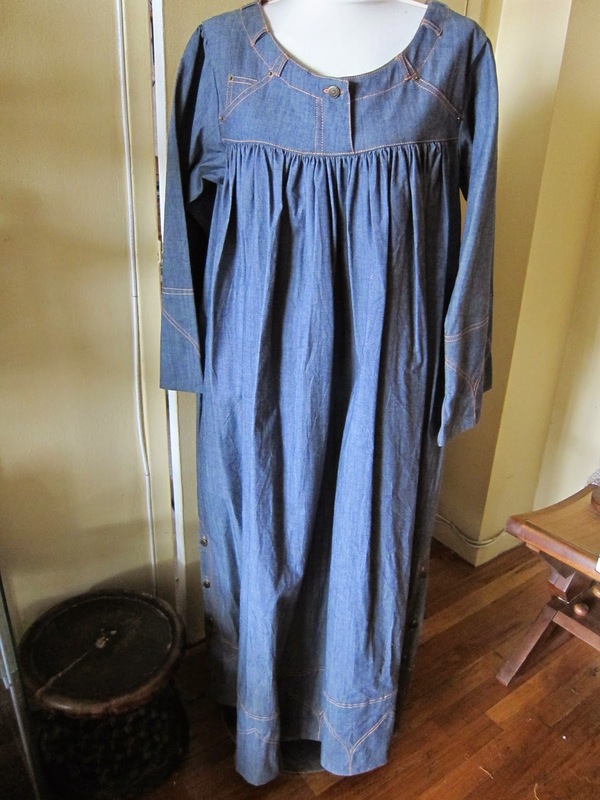 One of her inventions was to create versions of the "kaba" (the Duala women's traditional dress since about 100 years) in denim. Since a few years, Caroline has been managing a new architecture school in Yaoundé, ESSACA, founded by the architect Jean-Jacques Kotto. I will be writing more about the school in an upcoming post. Interview with Lady Ngo Mandeng for "Lady Vous Ecoute," in Paris, France. A new cultural institution is being created in New York City: the Africa Center, at the northern tip of Museum Mile on Fifth Avenue. Originally, New York had the Museum for African Art; its first location was in Soho. 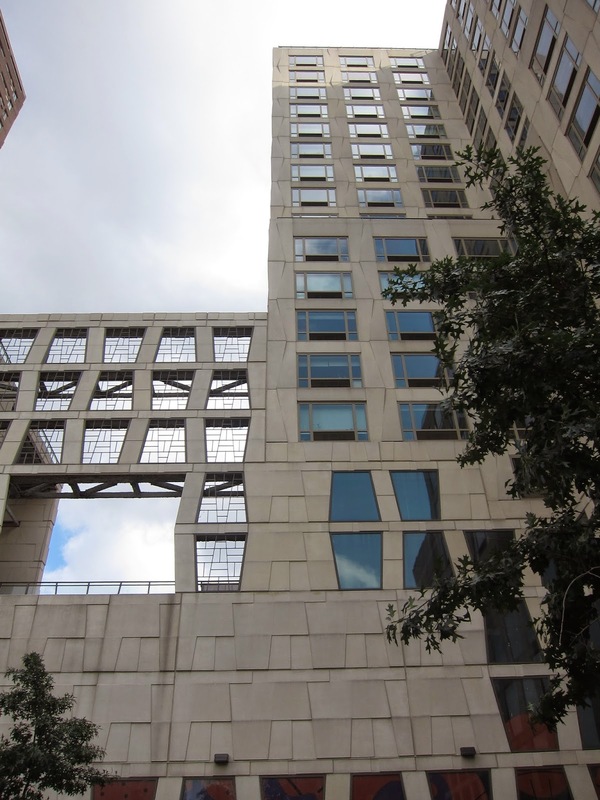 In 2007, Mayor Bloomberg announced a plan to relocate the museum to Museum Mile at 110th Street in Manhattan; during construction, the museum was moved to Long Island City in Queens. For several years, information about the new venue was scarce. Susan Mullin Vogel founded the Museum for African Art in 1984. The institution showed very high-caliber exhibitions, including exhibitions that were shown in various museums around the United States; it had a wonderful museum store (managed for some years by Vickie Fremont, whom we have also written about in this blog); my spouse, Epee Ellong, had participated in events about African culture and design. The project for the space at 110th Street and Fifth Avenue was enormously ambitious. In October 2012, Phil Conte joined the museum as Chief Financial Officer. Previously, Phil Conte was involved in several financial turnarounds at nonprofit organizations such as the Museum of the Moving Image, the Wildlife Conservation Society, and the Georgia Aquarium. After a year of media silence, there was an article describing a party involving Mo Ibrahim, Bill Clinton and other well-known figures to launch the New Africa Center. I emailed the new organization and Phil Conte responded. He explained that the entire paradigm of the organization had changed, and that the new entity was still a work in progress. In his words, "We are looking to the future. The Museum for African Art is being expanded to become the Africa Center, to better embrace all facets of the continent. The Center will still be about the art--both traditional and contemporary. Art will always be at the heart of the institution. However, we will incorporate more art forms, such as dance and music; and most importantly, we are planning two additions to the Center's offerings: a business forum, and a policy forum, to broaden the horizons of the Center and increase its reach." The new Center is slated to open in 2016. In the meantime, in September, there was an open house, with African vendors, a hanging multicolored spherical piece of art named "Citoyen du Monde" (World Citizen), by Meschac Gaba (South Africa); a yellow Volkswagen bus named "Lagos State of Mind II" (Emeka Ogboh), small scale models of the Center, live music, men on stilts, and a photography booth "in the style of Malick Sidibé," a Malian photographer renowned in the 1950s, 1960s and 1970s for his black and white portraits. It was all great fun, and children were treated to face-painting; there was also an "Egyptian jewelry" workshop. Another year and a half to go--and we hope that New Yorkers will be able to enjoy the new Africa Center in a daily basis. This is variation on my blog post on PadoukDesign.com, with a focus on Mansour Ourasanah, an industrial designer based in Chicago, originally from Togo. The Vilcek Foundation was created to highlight the achievements of the many talented immigrants who made their life in the United States. Marica and Jan Vilcek are originally from Slovakia. Jan Vilcek, a microbiologist, has 45 patents in his name and was the co-inventor of the blockbuster drug, Remicade. Marica is an art historian. They fled Soviet-controlled Czechoslovakia for the United States 50 years ago, and created the Vilcek Foundation in 2000. Every year, they give out rewards in different categories. This year’s focus was excellence and innovation in design. On June 19, 3 of the award recipients came together for a panel discussion at the Museum of Arts and Design (MAD) in New York City. The designers spoke about their creations, and topics covered were material ecology, and how can industrial design improve society? The discussion was moderated by Glenn Adamson, Director at the Museum of Arts and Design. Mansour Ourasanah, originally from Togo, was one of the featured designers, along with Neri Oxman and Quilian Neria. 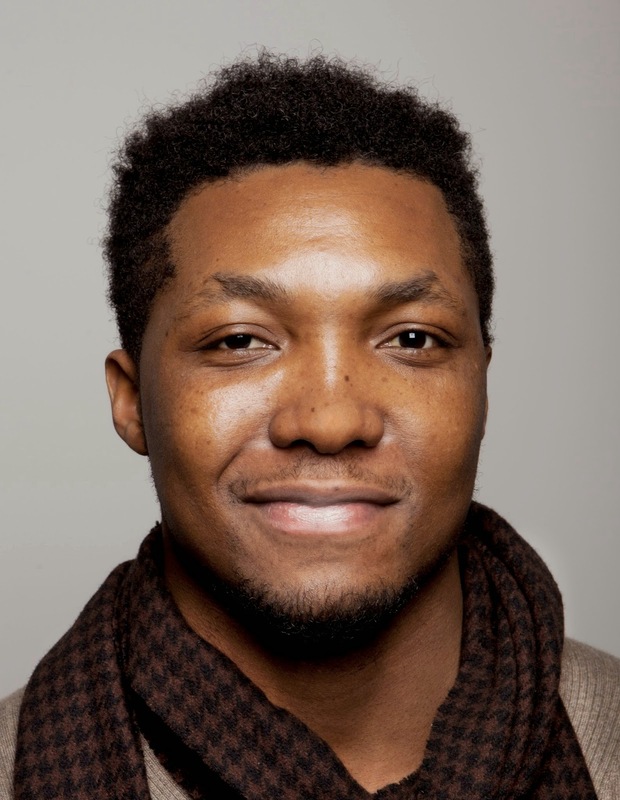 Mansour, a recipient of the 2014 Vilcek Prize for Creative Promise in Design, had intended to study mechanical engineering, but was lured by the creative aspect of industrial design. His inventions concentrate on either personal well-being, or that of the planet. One of the pressing issues nowadays is how will we feed an expanding world population? 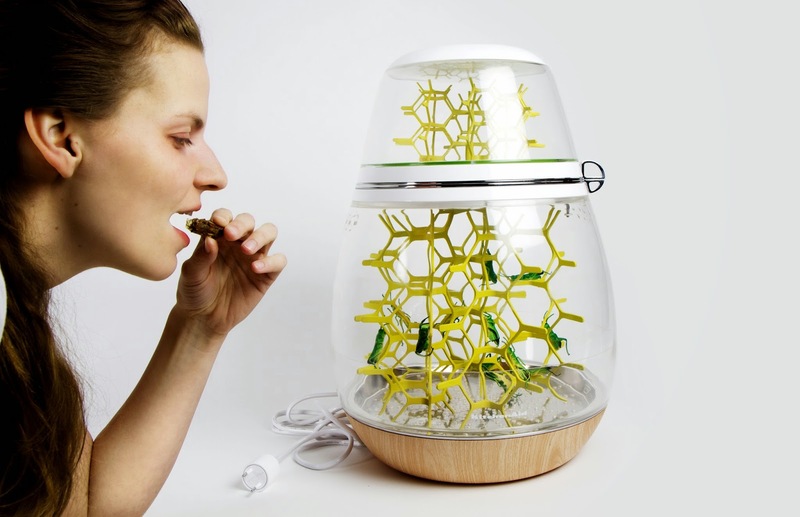 In "Lepsis: The Art of Growing Grasshoppers," Mansour designed a miniature countertop "farm" that can be kept in your kitchen, to breed grasshoppers for protein. Around the world, and more specifically in Africa, people do already eat grasshoppers and other insects. Grasshoppers provide low-cost protein that uses far less energy resources than beef or even chicken, and Western chefs are starting to catch on, as in the WSJ article, "Celebrity Chefs Tout Bug Cuisine." Others are producing flours and cookies made with ground mealworms. A more personal invention is a kit for pregnant women to monitor their health and their nutrition. A tech gadget is a power strip with pedals, the Eject Powerstrip, so you don't have to bend down to unplug an electrical device, or yank on the cable. Since 2012, Mansour works for Whirlpool Advanced Studio as Senior Designer. We can look forward to many improvements in our households! In Montréal, Canada, for a few days, we were pleased to note how many Francophone Africans are living in this French-speaking city, and how active they are in its cultural life. Montreal is a calm but also a very international city, boasting denizens from all over the globe, including many from France, the Middle East and Africa. 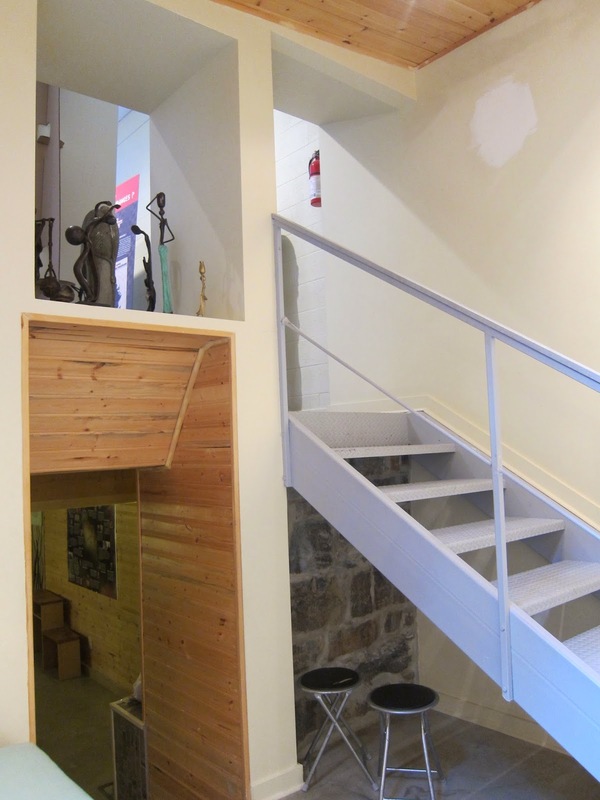 The soul of African cultural life lives in the Maison de l'Afrique Montréal. 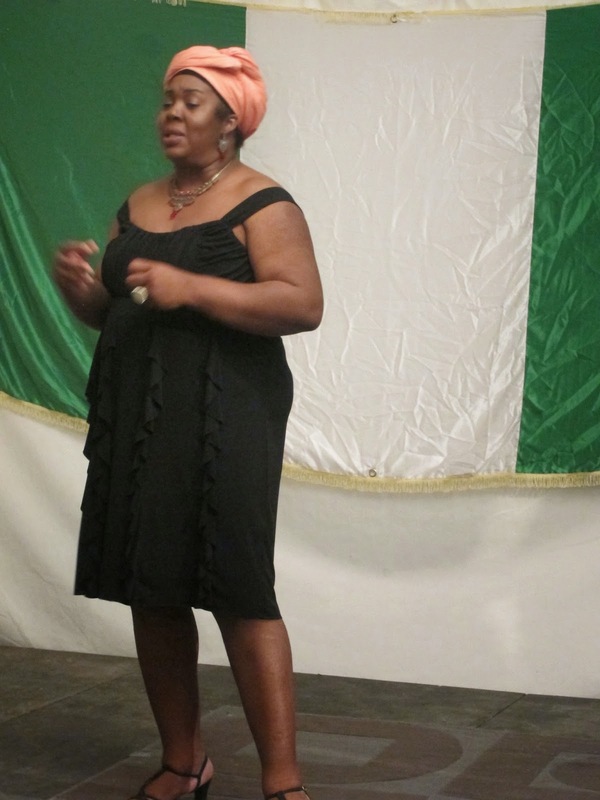 This African cultural center, in a house located in a quiet neighborhood, was founded in 2004 by Mariam Sy Diawara, originally from the Ivory Coast. The Center's doors opened in 2009. The center's mission is to act as a link from the Americas to Africa, to promote African culture and history, from all over the continent. There is also a tourism component and assists African immigrants in their integration in Canada. When we visited in July, Ms. Diawara was in the Ivory Coast, but we met several team members: Cheick Cissé, Administrator, Moussa Xlim Diawara, communications and events manager, and Marcelline Ouedraogo, store manager. On a Saturday evening, the event featured was an "Iftar" potluck dinner (breaking the fast for those who were in the middle of Ramadan) and a modern traditional-style tale told by Gisèle Ndong Biyoko, a Canadian of Gabonese origin, married to a Cameroonian (we met her spouse in another setting, without knowing that they were a couple!). There is an exhibit of African sculpture, a café area downstairs, a banquet space, and an outside yard. 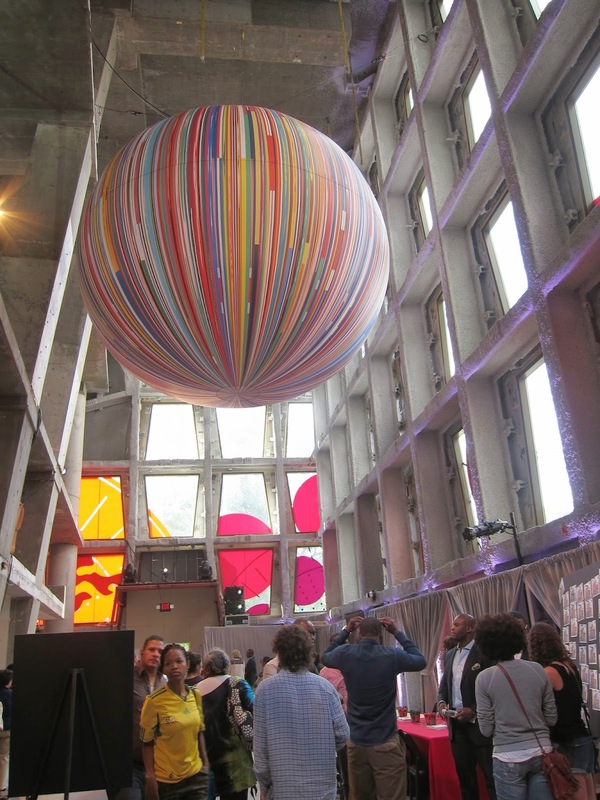 In the summer, outdoor festivals abound in Montreal, as people are indoors for much of the long and cold winter months. One of the festivals, in its last days during our stay, is the Nuits d'Afrique music festival. 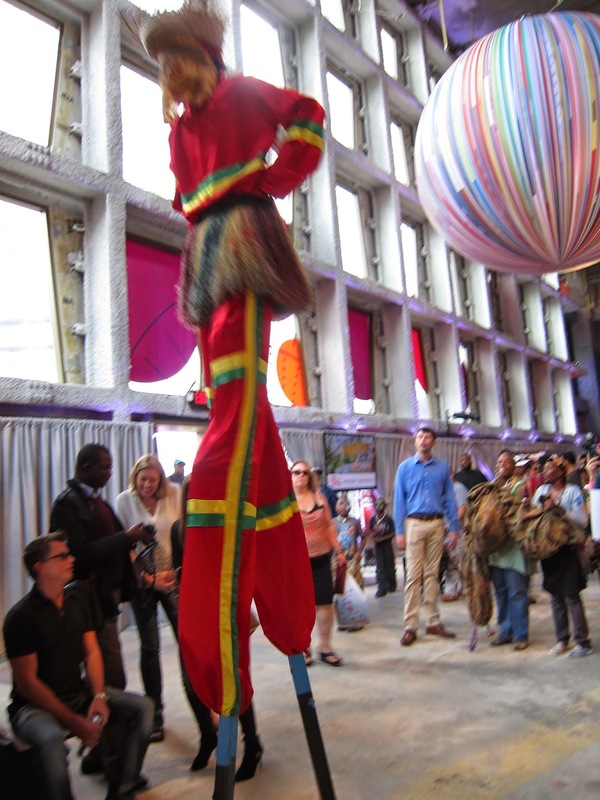 Not only are there several (free) concerts every day, in the Quartier des Spectacles, but also other concerts throughout the city, and a marketplace for clothing and gift items from Africa. One can purchase CDs from each of the past years of the festival. We attended the last concert, of Tabou Combo - the African diaspora in Haiti, in action since 40 years! Media and specifically online media is not left behind. We met Cyril Ekwalla who is the founder of Njangui Press, an online media outlet. Cameroon Voice covers Cameroonian news and culture, as well as news from other African nations, and includes a radio station. 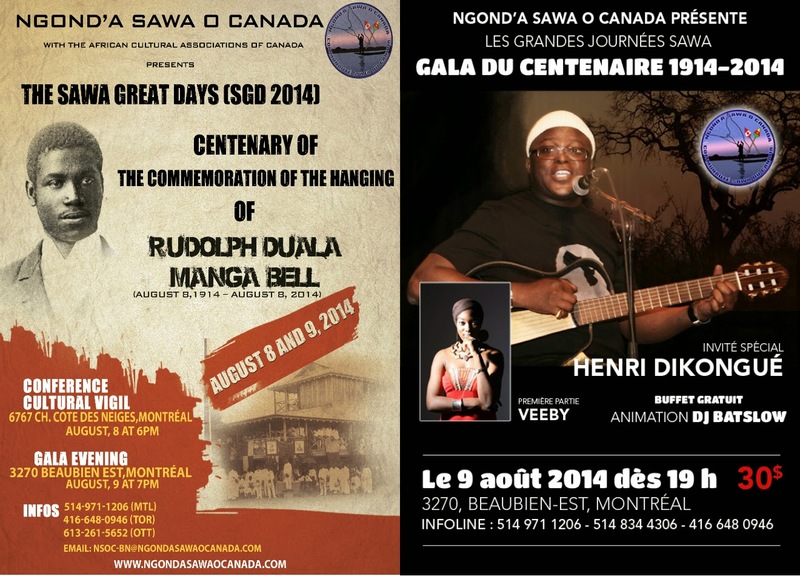 August 8 marks the 100th anniversary of Rudolf Duala Manga Bell's execution by the German colonizers in 1914. There will be a commemoration in Montreal. Rudolf Duala Bell rebelled against the German land grab and harsh reign in Cameroon, which was a German colony before the end of World War I. As it so happens, in our increasingly globalized world, one of his descendants, Florence Doualla-Bell, Ph.D, lives in Montreal, and will be present at the event. Cyrille Ekwalla is one of the organizers. And I should not leave out food: on Chemin Queen Mary, a block away from the Snowdon subway station, there is a restaurant that resembles a Chinese fast food restaurant, named Hot Africa. The service appears tepid, but the food is great: a slightly garlicky n'dolé (typical Cameroonian dish) and grilled fish, both served with excellent fried plantain slices. Across the street is a store selling fufu, red palm oil, dried shrimp and more, called Marché Mokolo (the name of a market in Yaounde). 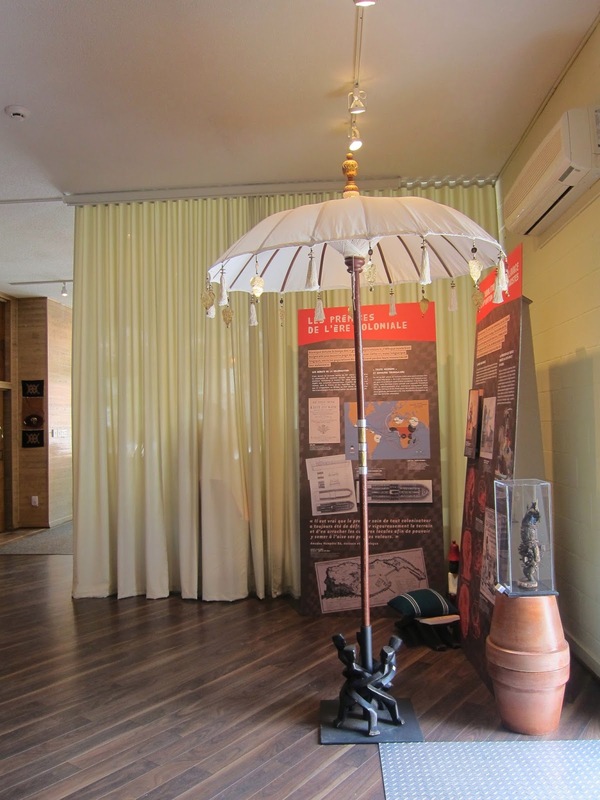 Below are more photos of the Maison de l'Afrique. Left and below: Football shirts from the African teams who competed in the FIFA 2014 World Cup in Brazil. Today I went to Harlem, to the Harlem Book Fair, to see Atim Oton at the Calabar Imports booth. For those decrying the "whitification" of Harlem, I didn't see much of it. Maybe they stayed home. On the other hand, there were many Africans, in all kinds of traditional dress, speaking different languages, including French. 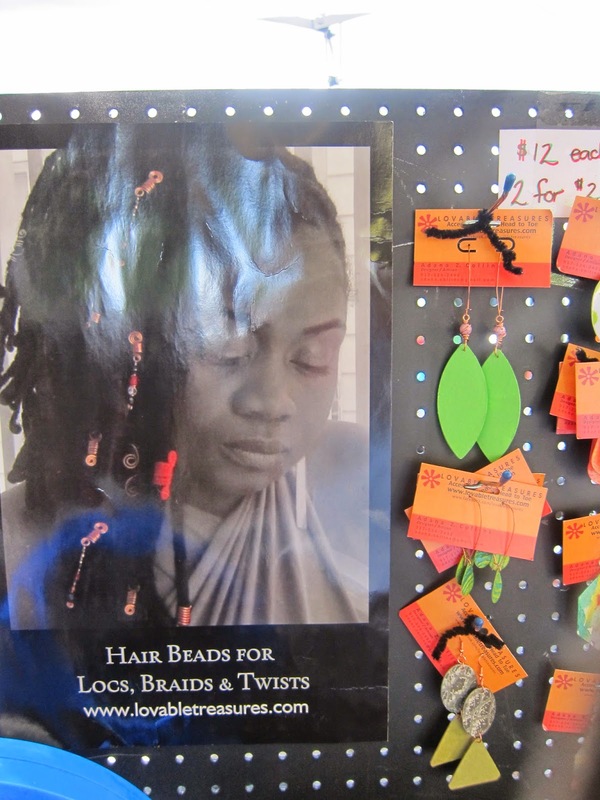 I saw no books at the Book Fair, but there were booths selling clothing, jewelry, hair products, African art... There seems to be no need to travel to the African continent anymore to buy anything: I saw Ghanaian-made dresses, bags and clutches, necklaces made of fabric at Calabar; traditional glass and amber bead necklaces; children's clothes; statues and masks, fabric and more (but no books). Maybe the books were elsewhere. Adana Collins (above) creates hand-painted earrings and braid ornaments for very reasonable prices. Her company's name is Lovable Treasures, and she also sells at Calabar Imports. 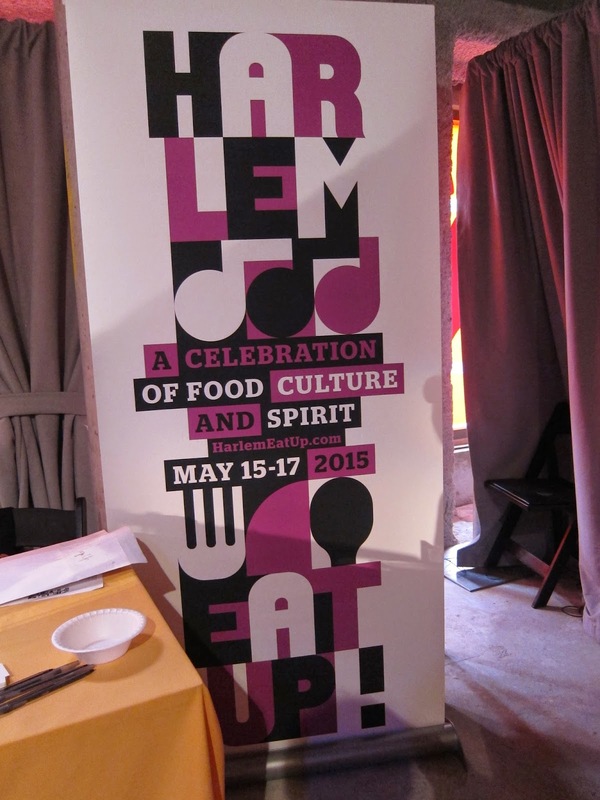 On the way back to the Harlem MetroNorth station, I passed food stalls, and more African booths. Getting closer to 125th, on Lenox Avenue, the gentrification was more apparent, in the form of a mini-Restaurant Row: Astor Row Cafe, Red Rooster, Chez Lucienne (and those are just the ones following each other!). On 125th Street, to the west of 5th Avenue, on the north side, a pastry shop featuring red velvet cakes is to open soon; samples were being handed out on the sidewalk. 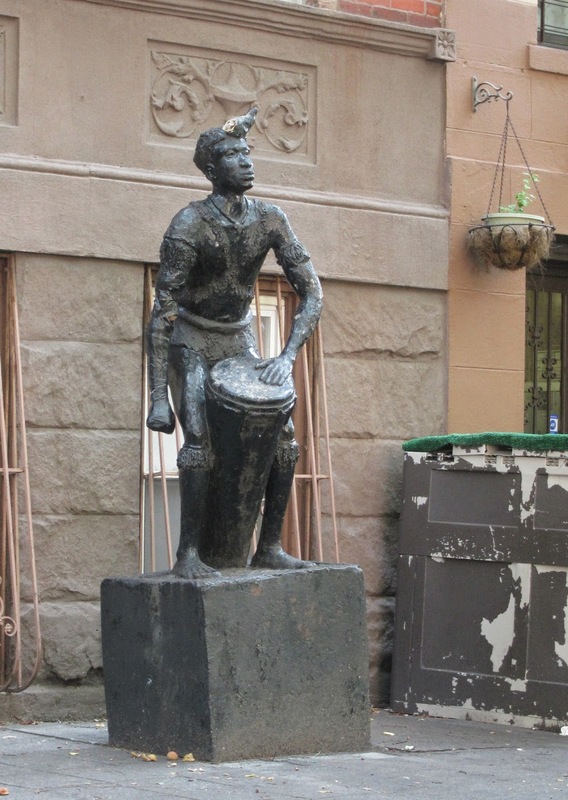 On 135th Street, this statue is said to have been created by a Nigerian artist. 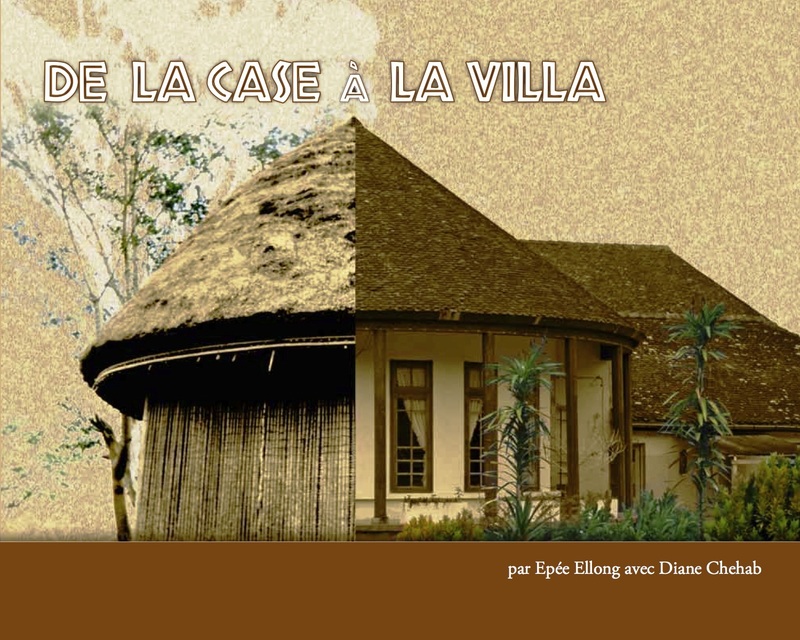 Please join us for the New York book launch of De La Case A La Villa, June 26, 2014 from 6 pm to 8 pm. 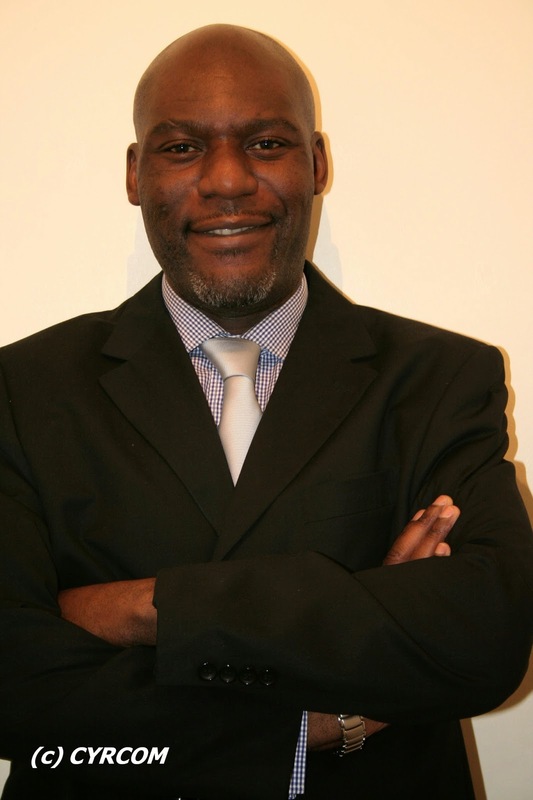 Epee Ellong will present the book in French and in English. There will be wine... and free bookmarks! 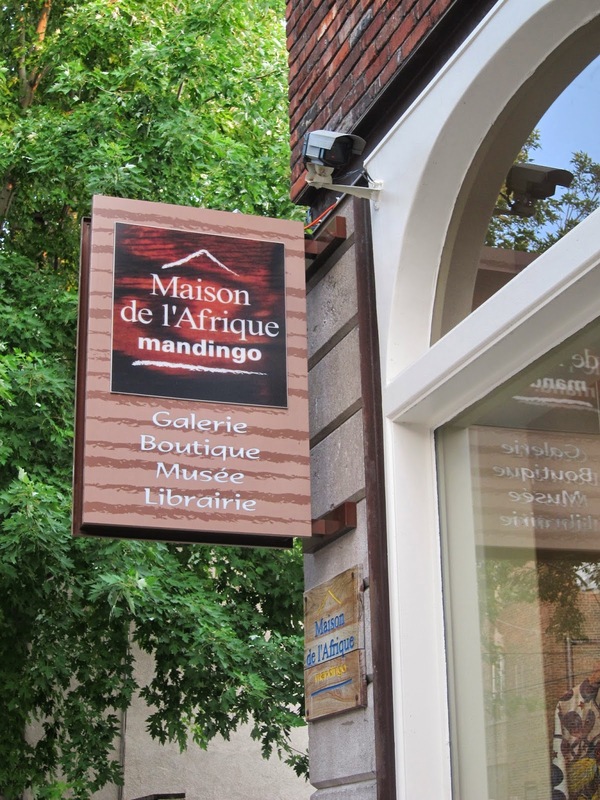 The Musée Dapper in Paris, located in the Embassy neighborhood in the 16th arrondissement, at 35 rue Paul Valery, is a wonderful hidden gem, mainly known to specialists of art from Africa and its diaspora, including the Caribbean. The museum opened in 1986, after the Olfert Dapper Foundation was created in 1983 in Amsterdam by Michel Leveau (1930-2012). Why Olfert Dapper? He had written a “Description of Africa” in 1668, an encyclopedia-style book, whereas he had never left Holland! - a small contemporary exhibit: Masques by Romuald Hazoumé, who is an artist from Benin, of Yoruba ethnicity, and who lives in Dahomey. He repurposed petroleum-industry related items, such as jerrycans, to create superficially traditional-African style masks, and the results are rather whimsical, even though the premise is a protest against the oil industry's negative consequences on Sub-Saharan Africa. Gabin Bonny, the Musee Dapper Cultural Attaché, told us that Mr. Hazoumé makes a point of never leaving Benin for too long, no matter his work overseas. - the main current exhibition is Initiés, Bassin du Congo (Initiates, Congo Basin). The Dapper Museum received, on loan, a large trove of objects from the Belgian Royal Museum for Central Africa in Tervuren. The Royal Museum is undergoing renovations, and the objects were in need of a temporary home; the Musée Dapper was happy to oblige. The exhibit's theme is initiation. Initiation was an important stage in the life of young Sub-Saharan Africans; pain and even the danger of death made this period very difficult, and thus ritual was important in order to sustain the initiates' willpower and even provide them with a sentiment of being superior to the non-initiates.